Agents. 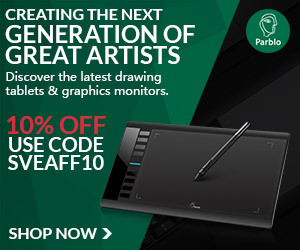 The holy grail of the illustration career world. The pursuit of agency representation and the advantages thereof is a recurring topic in illustration circles. Personally, I am asked regularly about having an agent: How did I get one? How is it working out? What is it like being represented? How does it affect the kind of work I get? And so on. These are all very good questions, and I think each illustrator who has an agent will have different answers, and each agent has a different approach. I think, though, that the key assumption about agents is that they jettison illustrators into a different league, perhaps the into most elite of them all — that having an agent pretty much means you’re Ivy League. It is true, I think, that having an agent gives an illustrator an air of success and status. It also acts as a kind of verification badge, a blue checkmark. The fact that an agent associates themselves with you automatically bolsters your credibility. Having an agent can also make you seem less accessible and available, which can increase the perception of your value as an artist. Also, having an agent field your requests is kind of like having an assistant on staff — again, adding to a sense of prestige. Whether or not these impressions are true, they certainly exist, and to this end they probably exist to the agented illustrator’s advantage. As with anything I write about, I cannot write about others’ experiences, but I can speak to my own. At the time of this writing, I have two agents (each one representing me in a different region) — so, clearly, agency representation is working out for me right now. So? What does it mean to have these agents, and how are they working out for me? Let me say a little about my situation, with the hopes of demystifying the world of reps a little bit. Why do I have an agent? 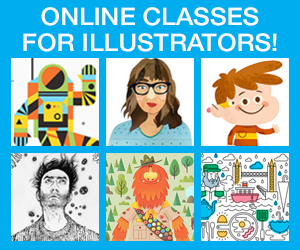 I started illustrating as my full time gig in 2013. I had just quit my design director position at an ad agency. I had been receiving more and more illustration requests, so I knew I had enough demand to justify leaving my salaried gig. I was fully self sufficient as an illustrator in terms of revenue. But most of my work came from local clients, which as far as illustration goes, can become repetitive and limiting. I figured that, if I had an agent outside my jurisdiction, then naturally I would start getting more diverse clients from around the world. So when I decided to seek out an agent, this was my motivation — to get more interesting work from a more diverse pool of clients. Today I have two agents, one in the UK and one in New York, and they in fact do bring me work from their regional and respective international reaches. I have been able to work with international clients that may never have heard of me otherwise. How did I get my agents? I had a few kicks at the can in pursuing an agent. The first time I “tried” was back in 2011, before I was serious about becoming a full time illustrator. I had quit my first design job and was trying freelance. That summer, I made maybe a couple thousand dollars. As far as going solo, it was a failure, and I ended up getting a job again at a local design studio. But during my first solo attempt, a creative director at my the large ad agency my wife worked at championed my work and said I should get in touch with a rep he knew in Toronto. I quickly sent her an email, dropping my wife’s CD’s name, with a casual offer to discuss a possible agent/illustrator relationship. Not surprisingly, I never heard back from her. In retrospect, of course she didn’t get back to me. I had a very limited and unfocused illustration portfolio, and I didn’t even try in terms of the conventional things one might do win an agent’s attention (like, for instance, having an illustration-focused portfolio!). At any rate, I didn’t even really know what I wanted a rep for or what that would do for me. I figured it was just one more person looking for work on my behalf. I wasn’t ready to be an illustrator nor to be represented. 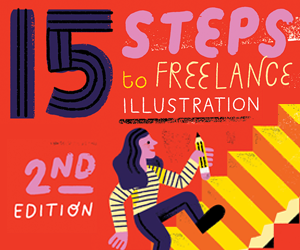 Fast forward to 2014, just about a year into my second (and actually successful) foray into illustration freelancing. By this time, I had amassed a more impressive body of work from more renown clients. My website was focused, and more purely illustration based. And I had some fancy personal postcards I had letterpress printed, which I intended to use to represent my design and illustration work. I hand wrote, using india ink and a nib pen, to a very specific list of agencies in Europe and the United States. I can’t remember how many, but it was fewer than 10. Of these, two, both in London, replied in the positive. A 20% return rate ain’t bad if I say so myself. This time, I was more ready. Beyond having a more impressive, illustration-focused portfolio, I did my research. Unlike the first time, I researched tons of agencies and made a short list of the ones I felt most drawn to. I learned the names of the agents, and I addressed them personally in the post cards. In my notes to them, I described how I felt I would fit on their roster and why I thought they would be a good fit for me. Between the portfolio, the nice postcards, the research, and personalized messages to each agency, something clicked. Instead of the disappointment of hearing back from nobody, I instead was faced with the awkward and extremely privileged task of choosing one amazing agent over another — effectively rejecting one agency’s acceptance. As for my second agent, they actually contacted me first, and after some back and forth, we joined forces. While of course my illustration work was more up to snuff, I believe that I succeeded by being more strategic in choosing whom I reached out to and how I made my first impression. What do my agents do for me? As mentioned above, my agents bring me work from sources that are outside my natural radius of influence. But even with two agents, much of my work comes to me directly, through people encountering my existing work online or elsewhere. So now that I have work out there internationally, promoting me at no cost, is an agent a costly redundancy? Overall, the answer is no. My agents, both in major creative centres, still have a foot in with huge clients and agencies in cities where budgets are more open than what I am able to reach. And that leads to a major role my agents play: upping the budgets. While I consider myself somewhat business savvy and not shy at all when at the bargaining table, I know my limits. One such limit is in licensing. Sure, I have the Graphic Arts Guild Handbook: Guide Pricing and Ethical Guidelines, which is a valuable resource for any commercial artist. But negotiating fees and usage takes a lot of skill, patience and time — time I would much prefer to spend producing creative work. My agents have a thorough understanding of the mysterious world of illustration pricing — especially pricing based on usage across different industries, and know how to ask for more because of it. On the flip slide, they also know when to back down and take the money that’s on the table. I have lost good jobs by asking for more than a client was willing to pay. But overall, by being in more financially resilient centres, my agents are able bring in top dollar for my work. So an agent gets me more diverse work, they help increase my fees, and they give me a more competitive edge by understanding usage and licensing across all industries. What don’t my agents do for me? One thing I thought for sure my agent would weigh in on more was on the creative. Somehow, I thought agents had at least some creative input that helped steer its creative talent toward some kind of common thread. Or somehow they would coach me to focus and refine my portfolio. But after two years of representation, I can honestly say that my agents have never meddled creatively. They have not even tried or suggested doing so. What I realized is that agents are not creative directors at all. They are sales reps — they go out there and sell my work and do my wheeling and dealing on my behalf. Although they don’t provide creative direction, they do on occasion provide a listening ear and offer valuable insights from their side of things. I can ask questions about what to expect from certain kinds of clients, or what I should expect in the way of fees for a certain kind of project or client, based on their other illustrators. In my experience, an agent does not provide creative direction, but is a wealth of information about the business side of things, and at the worst of times, a sympathetic ear with difficult clients. And for someone that works alone most of the time, having an outside, objective sounding board is a huge help. How much do my agents charge for their services? My agents take anywhere between a 20–30% cut. If taking a over a quarter of my fees sounds outlandish, remember they are also upping my fees and bringing me work I would not have previously had access to. They are also doing a lot of background work that I don’t have to do: showing my work around, printing my promotional postcards, hosting a portfolio of my work on their site, and doing a lot of the negotiating with the client. I get to be the creative and have less tension on the financial side with the client. For smaller projects with more fixed budgets, yes, the fee can sting. When the budgets are low, however, I have found my agents to be flexible and willing to make it work for everyone. What is the advantage of agency representation vs. self representation? The two biggest advantages are 1) increased exposure, especially to the agents’ respective regional client base, and 2) higher budgets for my work. Aside from that, as mentioned, I can focus more on the creative while they take care of the business side of things. In my particular case, a fringe benefit of being Canadian and having representation in the UK and US, I typically get to enjoy the exchange rates, which for these countries’ currencies, works to my advantage. What are the disadvantages of agency representation vs. self representation? It may not seem obvious, but the one thing I miss is the direct relationship with the client. While it is nice to work with a client without having to discuss money with them, there is an element of intimacy and respect that is lost, I think. When I negotiate a job with a client, that develops a sense of trust and closeness that makes both parties more connected and invested in each other’s success. I have a more intimate understanding of the client’s budgets and needs, and a more clear view of them as a human being rather than just a “client”. There is increased empathy. It is easier to respect the client, and the client sees me more as a peer, as a business person myself, so it is easier to respect me. Is the agency/illustrator relationship different today than it was in the past? This is something I can only answer speculatively. I have heard from more experienced illustrators that the holy grail-ness of agency representation is not quite what it used to be. Because each of us has direct access to thousands of people by way of social media and other Internet exposure, we are not as reliant on agents to get our name out there. In a past Q&A episode, Andy J Pizza posits that art directors don’t rely so heavily on agents as a source of discovery of creative talent. In much the same way that we prefer to discover music for ourselves (rather than anyone promoting themselves to us), he goes on, art directors prefer to discover illustrators on their own, through Instagram, Twitter, Blogs and so on. While I agree that the game has changed, I think that agents can greatly extend our reach. Think about how many opportunities you had by first hand connections, and then think of all the first hand connections your agent has that you gain access to by proxy. But the access we have as individuals to the Internet does level the playing field, and having an agent is more of a choice than a necessity for many illustrators. This puts more power in our hands and helps ensure that we are not taken advantage of. If anything else has changed dramatically in the agency game, I think agents are going more boutique, offering a tighter, more niche repertoire of creative talent. At the end of the day, in my experience, work from my agents brings only a part of my business income. I don’t put all my eggs in that basket. 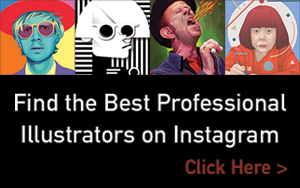 I need to be out there every day pushing my work, keeping client relationships alive, and being a positive contributor in the global illustration community. What would I advise to anyone looking for an agent? If you are looking for an agent, do your research. Don’t apply to every possible agent. Seek out agencies that have talent rosters that really resonate with you. Read through their websites. Look at the clients they’re attracting. Look for clues into their philosophies and approaches. When you’ve found a handful you really want to be a part of, make sure you know why you covet their representation and how you expect it to work for you. Finally, when you’re ready to start making contact, you need two things. One, you need a strong portfolio that shows your work well. Your portfolio should be focused and definitely show a sense of your voice as an artist. It should not be bland and all things to all people. Two, you need a physical point of contact, i.e. a mailer, or if the agent is local, a physical portfolio or leave-behind that really shows your work. In my case, what I assume worked, was that my postcard was the right format for showing my work. When I first reached out to my agent, my style was especially vintage-feeling, so letterpress printed cards really felt appropriate. Further personalizing it by writing my notes to the agents in india ink with a nib pen (my go-to tool) was completely related rather than just a gimmick. There was a strong brand, a story the agent could believe. Finally, if you’re looking for an agent, remember that they cannot do the work you need to do: only you can make yourself a better illustrator. Your agent will champion you, will hustle for you, will be your biggest fan. But it is up to you to push yourself into the illustration stratosphere. Excellent information, I will be looking into considering an agent as need more work!